As if the Centenario wasn't flashy enough. 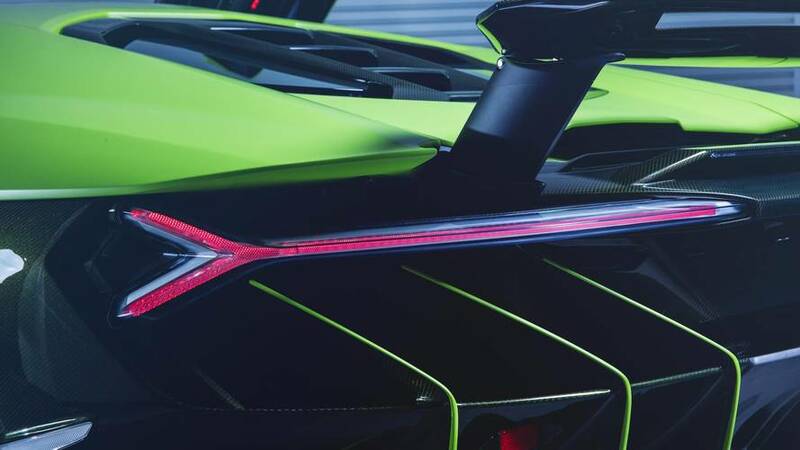 Just 40 examples of the Lamborghini Centenario will be built – 20 coupes and 20 convertibles – each at a price of around $1.9 million. Already we’ve seen more than 10 examples of stunning supercar delivered in various locations around the globe. The first in the U.S. was this lovely carbon fiber and blue-trimmed bull, which was delivered to Lamborghini Newport Beach in California, with others like this orange-trimmed example showing up at H.R. Owen in London. Now, in an effort to stand out from those examples that have already been delivered, another Centenario has made its debut in Hong Kong – and it’s definitely unique. 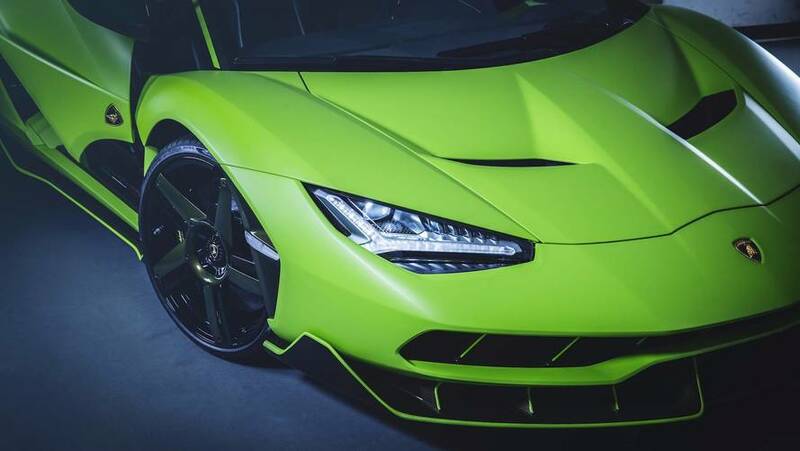 As if one-of-40 wasn’t rare enough, this is the only Centenario Coupe finished in a Verde Bronto bright green exterior. It also features a custom-requested matte finish for added flair. 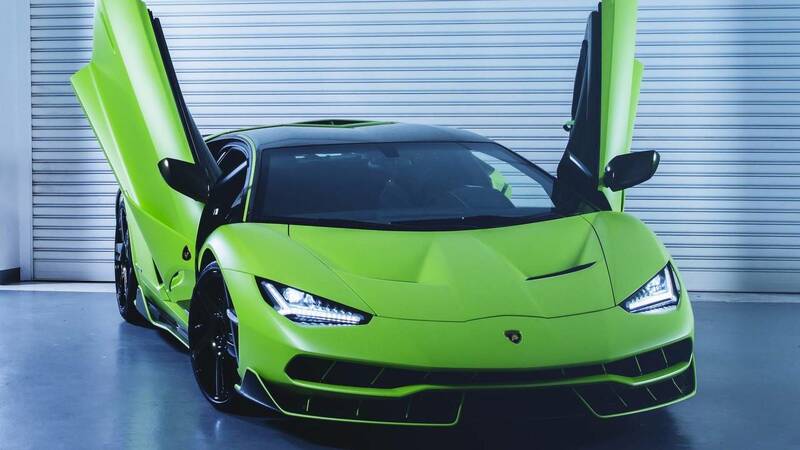 The unique green finish is contrasted by bare carbon fiber trim, and gold carbon fiber accents on the roof, engine cover, side mirrors, rear wing, lower parts of the trim, and yes, even the wheels. There's even gold accenting littered throughout the cabin... because luxury. A Nero Ade black Alcantara coats nearly every inch of the interior, accented by a matching bright green finish, and a full carbon fiber package throughout. Under the hood is the same naturally aspirated V12 found on all examples prior, producing a whopping 759 horsepower (565 kilowatts), allowing for a 0-60 mph (96 kmh) sprint of just 2.8 seconds, and a top speed of 217 mph (350 kmh). 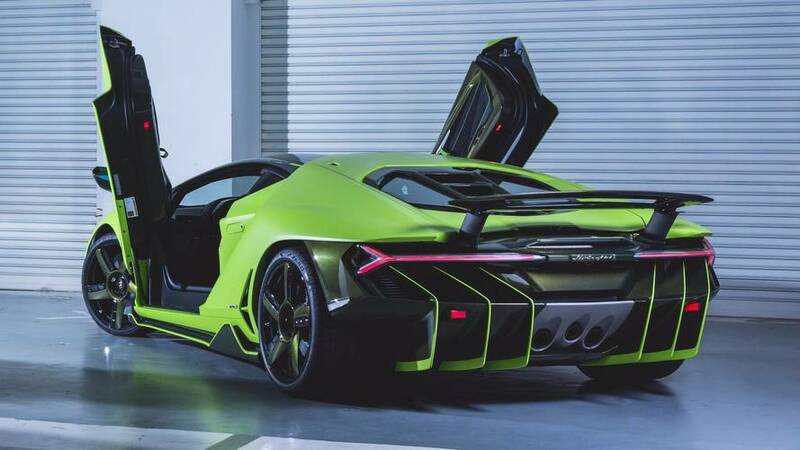 Before this unique Centenario makes it way to its new owner, the rare bull will act as a centerpiece at the Grand Opening VIP Party for the new Lamborghini Hong Kong showroom, beginning on October 18. Lamborghini Four-Door Sedan Based On Panamera Platform Due 2021?